Since the last update the screen doesn’t have the right size, there is an empty slot on the right and bottom but I don’t change the location of the modules. Could you please take a picture of this? Did you change something in custom.css or main.css? Or is your screen completely offset? 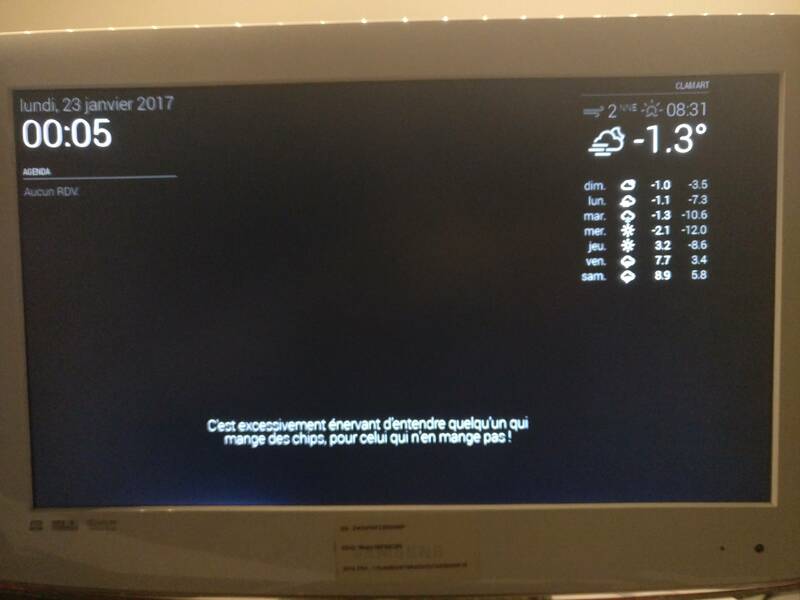 If you quit MagicMirror and go back to desktop or terminal, is this shifted too? @yawns I don’t change the CSS files, and the screen is shifted just in MagicMirror. @vicdilou maybe the displayed screen is shifted to the left? it looks like you have an old monitor no led. @chrisfoerg The screen is shifted only with MagicMirror, before the update I didn’t have problème. I’m 100%sure the problem does not come from the screen.